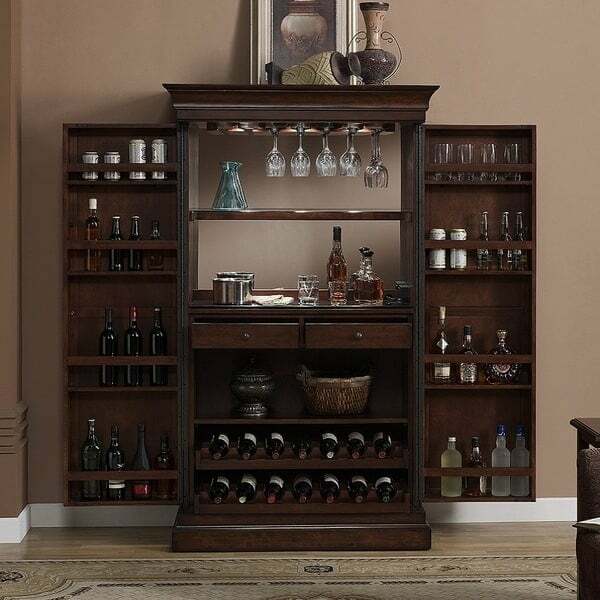 With a height of over six feet, one would think the Angelina Wine cabinet from American Heritage is an antique-inspired wardrobe or armoire. But this tall console offers two doors on piano hinges that open to reveal an extravagant home bar, complete with a black glass work area, wine racks, drawers, ample storage and much more (see features below). 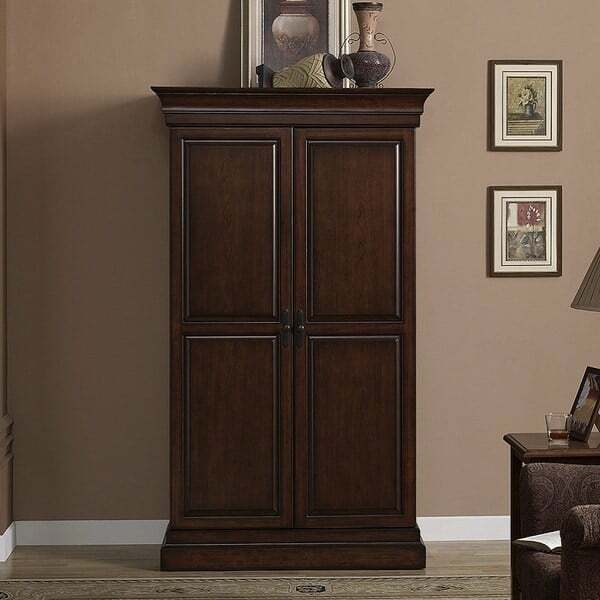 Guaranteed to fit perfectly in any interior space, this American Heritage piece of furniture comes with free shipping nationwide from Family Leisure!